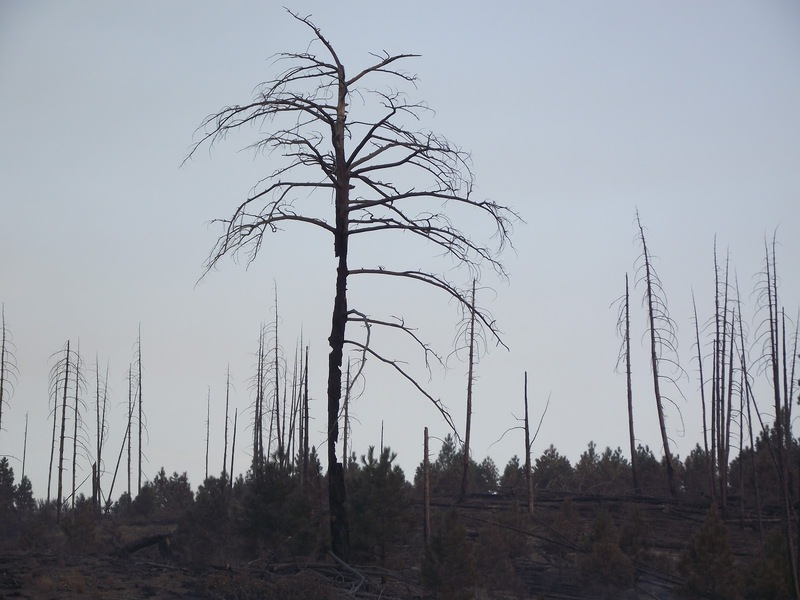 Destruction following a wildfire in north central WA leaves few opportunities for recreation. 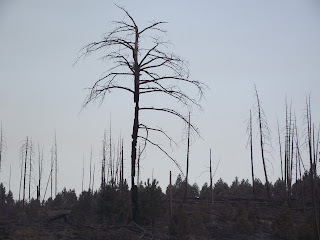 Unlike thousands of human-caused fires, this one was caused by lightning. California and the Pacific Northwest will most likely be fighting wildfires into November. By enacting some straightforward measures, the severity of future wildfire seasons could well be lessened. There are six large fires raging out West, and this year’s season is likely to burn 10 million acres of land, more than in any year since 1960, when federal records began to be kept. John MacLean's column in yesterday's New York Times explains that many large fires aren't from natural causes or even careless campfires. Bigger penalties and tougher legislation are needed. In particular, some causes of unintentional human-cause fires are already against the law, and others are easy and sensible to outlaw. Target shooters apparently need legal motivation to switch to spark-free lead bullets and to use non-explosive targets. ORV users need the threat of fines so they'll (re)install spark arresters and leave the four-wheelers in the garage for a month or two during high fire danger season. My take as a private forest owner at the wildland-urban interface: It's apparently hard to legislate common sense. Both groups cry for their freedom when such legislation is proposed. But it's still easier to legislate what people will do than what they won't do. We have laws that require precautions on public property and provide stiff penalties for the destruction of property even when a fire is accidental. Let's fight fire with fire: Enforce the laws we have and apply the harsh fines and prison time they allow.